Join people from across the province on Wednesday Feb 6th and commit to going for a walk. Why not turn one of your meetings into a walking meeting? Or go home after work and get the family to go for a walk before supper? Or sign up the parents from your child's activity - walk while they are busy in their class! Register online and let's see if we can't get the highest number of Lethbridge participants ever in 2019! 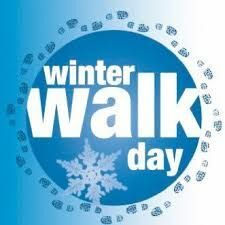 Go to www.winterwalkday.ca to register and use #winterwalkday on social media to show off photos of your colleagues, friends, family or yourself participating! Benefit #10 - Parks in Lethbridge offer something to all residents and improve quality of life.